Joe Moller Events is a Los Angeles-based boutique event production company with a roster of high-profile clients, particularly in the field of beauty and cosmetics. They offer creative event design and management, brand activation campaigns, experiential marketing, and outreach to create memorable experiences. 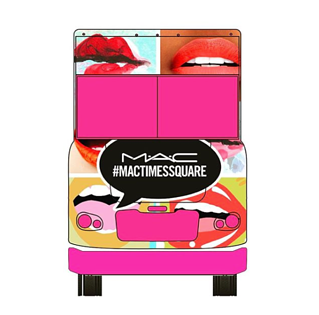 The firm was hired to stage two activation campaigns—one for the launch of the beautyblender® swirl makeup sponge, the other for the reopening of a MAC Cosmetics flagship store. Both events would take place in New York City. With a reputation for staging unforgettable events, Joe Moller Events turned to a trusted, New York City-based partner, Promobile Kitchen, to help launch activation days. Their fully-branded, custom food trucks added to JME’s spectacular promotions vision by literally bringing beauty to the streets of Manhattan. “In addition to taking on logistics with us, they are integral in the ideation process, and bring a distinct creativity to everything that they do,” Moller said. Promobile Kitchen added value to these promotions with culinary expertise, site research, and the truck’s capabilities to engage audiences pre-experience. 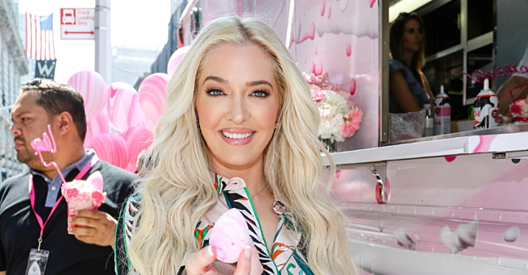 At their Union Square retail location, Sephora celebrated the launch of beautyblender swirl—the new pink and white marbled makeup sponge—with beautyblender celebrity spokesperson, Erika Jayne, singer and Housewives of Beverly Hills reality star. 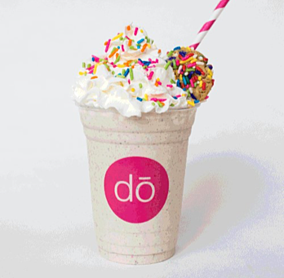 To tie in with the “swirl” theme, Promobile Kitchen partnered with DŌ to provide fun pink cookie dough milkshakes to consumers in the hot summer weather, serving over 1500 shakes to parched passersby, bringing in and engaging an even larger audience. Promobile Kitchen custom-wrapped their eye-catching food truck in the colorful pink and white tones of the swirl sponge; festooned with pink and white balloons and flowers, the vehicle and the swirl launch message were hard to miss, and was photographed by bloggers and media alike. 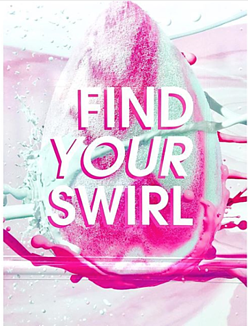 On each side of the truck, a Find Your Swirl tagline was printed in bright pink lettering. 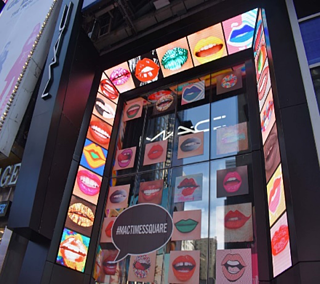 The objectives of the MAC Times Square re-opening were to showcase the redesigned store, generate foot traffic, and connect with the MAC fan base. What better way to do so than with a huge party, right in the middle of Times Square. Joe Moller Events partnered with Promobile Kitchen again to help pull off the festivities. The food truck’s mobile technology capabilities were put to work at the event: a massive 90-inch video screen with live social media feed, music, and a DJ supported a cast of drag queen dancers from RuPaul's Drag Race. 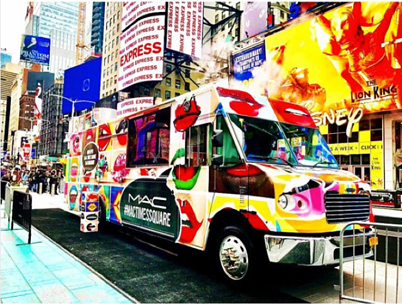 Promobile Kitchen wrapped the food truck in the brightly painted lips of the iconic M•A•C cosmetics brand, creating a mobile billboard that literally stopped traffic in Times Square, the busiest intersection in the world. 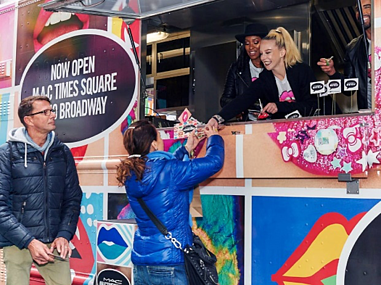 The food truck gave away lipstick, cosmetic samples, and lip-shaped lollipops which lead to the in-store makeover and try-on offerings. The strength of Promobile Kitchen’s contribution in this campaign was in their ability to produce custom audio, video, and graphics that competed with the bustle of Times Square. “The entertainment logistics and partnering included music, A/V equipment, video screens, sound systems, and product giveaways. There were a lot of moving parts to oversee,” added Moller. Promobile Kitchen also implemented the high definition social media tile wall that kept audiences transfixed for an extra 5-10 minutes, resulting in visitors staying at and engaging with the event for an extended amount of time. 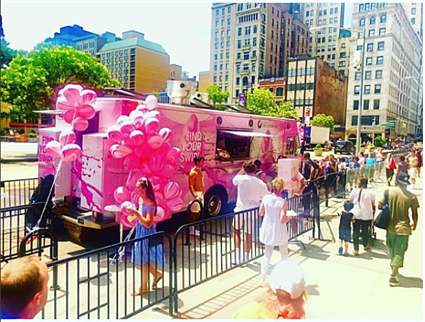 With Promobile Kitchen’s help, Joe Moller Events met and exceeded all goals for the beautyblender and M•A•C brand activations. Millions of impressions were generated, and all target demographics were reached for each event. “I am always impressed by Promobile Kitchen’s timeliness, scheduling, and consistency,” said Moller, “and they bring a certain flair to everything that they do.” From partnering to culinary prowess, logistics to tech, Promobile Kitchen showcased their strengths by partnering with Joe Moller Events. “They are mobile, scalable, and can be replicated in any city. They give event producers like me the confidence that we will reach consumer-based mobile activation targets in unprecedented ways,” Moller added.